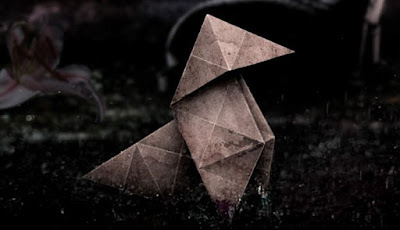 Warning: This post contains spoilers for Heavy Rain. Heavy Rain has given pedantic gamers a splendid venue in which to pick nits. There is a certain puerile fun to be had from making "Jason!" jokes, and many of the scenes would be right at home on Mystery Science Theater 3000. While having some fun at the expense of plot holes and production values is entertaining, it also serves to illuminate the game's real problems. Plot, setting, and dialogue serve more important functions in Heavy Rain than they do in many other games. Because the game's dynamics shift with every scene, the author-controlled content is responsible for creating a believable system in which player actions have meaning. As a counter-example, take Halo, a game in which details of the plot and setting-based narrative are largely used as convenient vehicles that shuttle the player in between sections of the real story: the gameplay dynamics. Stripping it of its authored narrative, Halo will still retain much of what makes it unique, as it is the dynamic player-controlled action that creates the real story. Heavy Rain takes a much different approach. Because of the nature of its quicktime event-based gameplay, it is much harder to create gameplay-driven narrative. Instead, the game relies on plot, characters, and settings to define and imbue actions with meaning within various contexts. In Heavy Rain, pressing the X in one scene allows the player to pick up a child, whereas pressing X in another scene means trying to punch someone in the face. It is the fiction's responsibility to give meaning to mechanics that are largely generic when devoid of dramatic context. In a situation like this, when the fiction itself is flawed, both plot and gameplay narratives become casualties. Heavy Rain stands out as a game that aspires towards realism and normalcy. Instead of being dropped into the middle of an inter-galactic war or magical dreamscape, players find themselves in a world that looks like their own. Their digital avatars share this penchant for the ordinary: there are no ultra boosts, magic potions, or rocket jumping. Instead, the game immerses the player in highly detailed environments and situations in an attempt to demonstrate how each character grapples with both emotional obstacles and physical challenges. It is the richness of the world that defines arbitrary button presses meaningful ways to achieve immersion. To do this requires great attention to detail. Unfortunately, Heavy Rain opens by instantly handicapping its potential for visual immersion. Before each scene, an ultra-realistic, possibly pre-rendered character model is shown as the scene loads. These character models are impressive pieces of technology: their eyes seem to glisten and dart around as if they were connected to human brains. Individual pores can be seen as they tense their jaws. One can almost feel the stress that must be responsible for etching the worry-lines into their faces. Then, the player takes control: not over these wonderful creatures, but over things that look like Sims 2 characters by comparison. At the beginning of every scene, the player is reminded that they are playing approximations of what the characters are meant to look like. Even worse is how the stiff, cumbersome, awkward walking controls contrast to the action scenes in which simple button presses accomplish feats of acrobatics that are impossible to reproduce at any other time. The storytelling constructs a universe in which the characters can sometimes interact with the world and use their bodies, while at other times they are little more than clumsy mannequins. Like the characters themselves, the world they inhabit contains a multitude of small errors and inconsistencies that distance it from the reality it wishes to convey. 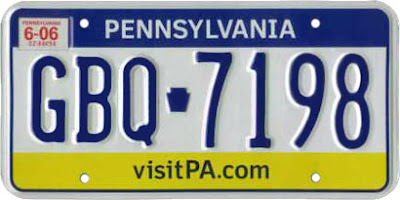 The game is set in the U.S. and David Cage has said that Philadelphia was a major influence in the setting, so I sighed when I read Jaydon's license plate number: "BNA_735_73." Currently, no state (including Pennsylvania) has more than seven characters in their license plates and none follow an "XXX_XXX_XX" format. If it was a government car (seeing as how Jayden works for the CIA), there would likely be even fewer numbers. This may seem petty, but environmental oddities accumulated over the course of the game to remind and continually highlighted the world's artificiality. Small details like push-button toilets, door handles instead of knobs, asthma inhalers for sale in a liquor store, and sleazy motels that had bandages and various types of medicine in the cabinet all demonstrate poor attention to detail and a lack of investment in constructing a faithful representation of mundane American life. Although Cage is adamant that the "English version is really the real version," the dialogue and acting continually undercut the game's attempt at an authentic American environment. Some of this is the lackluster voice work and baffling decision to use British actors for two of the four main characters. Aside from the occasional Hugh Laurie, British actors will have trouble pulling off a convincing Yankee accent. Despite their heroic tries, Cage and actors only succeed in a impersonating dialogue as opposed to owning it. Strange pauses and cadences are subtly unnerving to a native American-English speaker, as are words like "carousel" when it is pronounced "carouSEL" rather than "CAROUsel." An American would be much more likely to call it a "merry-go-round" anyway. Heavy Rain's writing problems run deeper than its dialogue issues: the plot is riddled with holes and dead ends that punish, rather than reward, critical thinking. Ethan's blackouts are never explained, and if the player has him murder people, he is never held accountable. Shelby's asthma is dropped after the early parts of the game, never to be referenced again. It is never clear what kind of journalist Madison is, or what drives her to continually put herself in danger. Jayden has a magical augmented reality device (that people rarely comment on) whose functioning and addictive properties are never even given a cursory explanation. When Shelby kidnaps Shaun, was he just waiting for Ethan to blackout or did he have something to do with it? How does Shelby keep tabs on Ethan when he is out and about? Why does Madison think to make contact with Jayden in order to help Ethan when she and Jayden have never met or spoken? 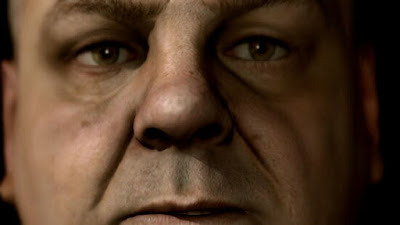 The point is, when something in Heavy Rain's story or presentation "doesn't make sense," it attacks the very means by which the game attempts to immerse the player. Take the story away from Halo and you still have a set of dynamics that tells a powerful story. In Heavy Rain, meaningful interaction relies on the story's ability to inject sterile button presses with emotional substance, as the game dynamics mean very little when divorced from their plot and setting. When the world itself if full of flaws, inconsistencies, and oversights, the logic behind the arbitrary actions that unfold grows increasingly shaky. One typo does not destroy an essay, nor does one bad cut ruin a movie. However, a multitude of little mistakes can slowly add up and combine to undermine a work's overall cohesion. In a broader sense, the mistakes found in Heavy Rain hint at larger, more nebulous thematic and gameplay problems. If Quantic Dream could not create a solid plot, how likely is it that they addressed ludic issues like player agency and sociological issues institutionalized racism and sexual violence? I think it is quite unlikely, but I will save those thoughts for later posts. The choice to convey meaning in a video game via dialogue and plot rather than gameplay dynamics means that the author (the game designer) must assume responsibility for stitching together a cohesive experience for the player to enjoy. Because of the limited amount of player interaction in Heavy Rain, emergent gameplay cannot save a poor narrative; the player is powerless to salvage something they have no control over. Engaging fiction, (or "interactive fiction," as the game would have us refer to it, although I would argue that all fiction is interactive) is more than a departure from the standard milieu of wizards and space marines. Fiction is hard to make, and it necessitates a careful eye to both large and minute details because the world is created from those details. Because of its narrative and ludic choices, Heavy Rain's developers exercise a large amount of control over the game's events and details, thereby shouldering the burden of storytelling. The burden is carried neither easily nor gracefully.